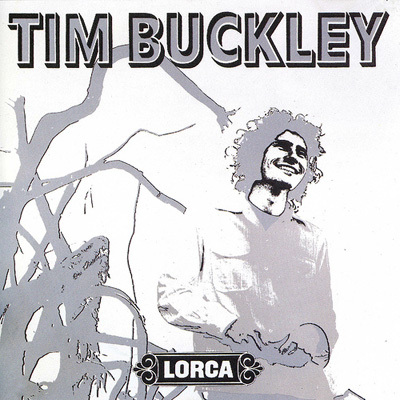 "Lorca" is the 5th full-length studio album by US experimental folk rock artist Tim Buckley. The album was released through Elektra Records in May 1970. Tim Buckley had intentionally begun to explore experimental ideas, free form mellow jazz and loose jamming, on his previous two albums "Happy Sad (1969)" and "Blue Afternoon (1969)" in an effort to move away from his original more traditional folk rock sound. Both of those albums are however still what I´d characterize as transition albums, as they feature elements from both his early mainstream oriented folk rock style and his future more experimental/avant garde folk rock style. With "Lorca" the transition to an experimental/avant garde folk rock artist is complete. While never completely forsaking his folk rock roots Tim Buckley takes you on an very different journey with "Lorca". "Lorca" only features 5 tracks but most of them are relatively long with space for free from structures (Buckley deliberately tried to avoid vers/chorus structures at this point in his career) and innovative jamming. The album opens with the eerie sounding title track. The most avant garde oriented track on the album. Haunting vocals and experimental use of instrumentation but still with a folky edge. "Anonymous Proposition" is if possible an even more inaccessible track with Tim Buckley´s strong, melancholic and soul searching vocals in focus. What he does with his voice on this track is simply amazing, using it more like an instrument than as "regular" vocals. "I Had A Talk With My Woman" takes us back to more familiar ground with it´s bluesy folk rock style and the same can be said about "Driftin´" (the latter is still rather experimental though) and "Nobody Walkin´". Great intriguing tracks but not as experimental or innovative in style as the first two tracks on the album. As on the previous albums the instrumentation is mostly acoustic and the use of drumkit is limited. There are a few more electric instruments used on this album than usual though. The main instruments are acoustic and electric guitar, organ, upright bass, electric piano and congas. The sound production is quite brilliant. Organic, detailed and warm. There is a rare authenticity about it, that makes you feel like you are a part of the experience instead of just being a listener. If "Happy Sad (1969)" and "Blue Afternoon (1969)" were beautiful, melancholic and predominantly mellow trips, "Lorca" is in contrast the frightingly bad acid trip. It´s dark and emotional, twisted, and at time even unpleasant with it´s odd chromatic and non melodic vocal lines. Tim Buckley really challenged himself on this release and it´s hard to believe that "Lorca" was actually recorded simultaniously with "Blue Afternoon (1969)". They share some similarities but the addition of avant garde ideas and experimental vocal styles really set "Lorca" apart from "Blue Afternoon (1969)". A 4 star (80%) rating is deserved. A very dark and unique album this one.